We are proud to announce that Griffin Ranch Homeowners Association has selected Tinnelly Law Group as their association’s legal counsel. 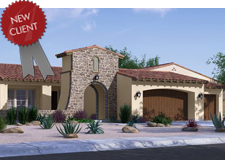 Griffin Ranch is a brand new neighborhood in the city of La Quinta being developed by Lennar Homes. Griffin Ranch features two collections of luxury single family homes. Surrounded by picturesque views of the Santa Rosa Mountains, large spacious living spaces, fully appointed amenities and a manned guard gate amplify the allure of Griffin Ranch living in La Quinta! Our HOA attorneys and staff look forward to working with Griffin Ranch’s Board and management.